'A star is born' tells the story of Ally, who will be played by pop star Lady Gaga (as Stefani Germanotta), a talented young actress and singer who arrives in Hollywood ready to succeed and fulfill her dreams. 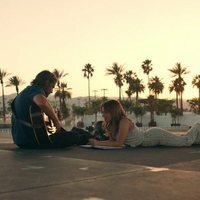 Once installed in the city of fame, she will meet Jackson Maine, played by Bradley Cooper (who also directs the feature film), a renowned actor who had his moment of glory in the past. However, lately, his career is not going through his best season. Alcoholic and ruined, he will find in Ally a reason to go ahead and will help her in her pursuit of success. It is the remake of the film of the same name of 1937 directed by William Wellman, starring both Janet Gaynor and Frederic March. 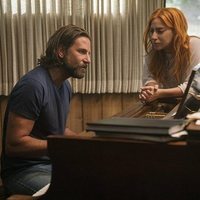 Write your own 'A star is Born' review. 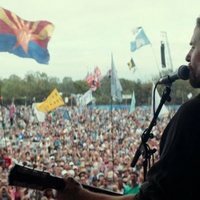 Bradley Cooper began planning his vision for this film while working as a producer on 'American Sniper', which was directed by Clint Eastwood. Cooper originally wanted Beyoncé Knowles to star alongside him, however, negotiations soon failed and Cooper offered the role to Lady Gaga instead. This will be the third remake of 'A Star is Born'.